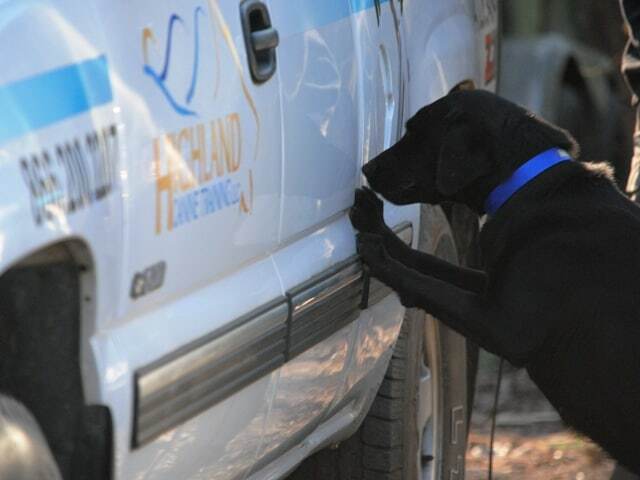 Does Your Detection Dog Alert Too Far From Source? 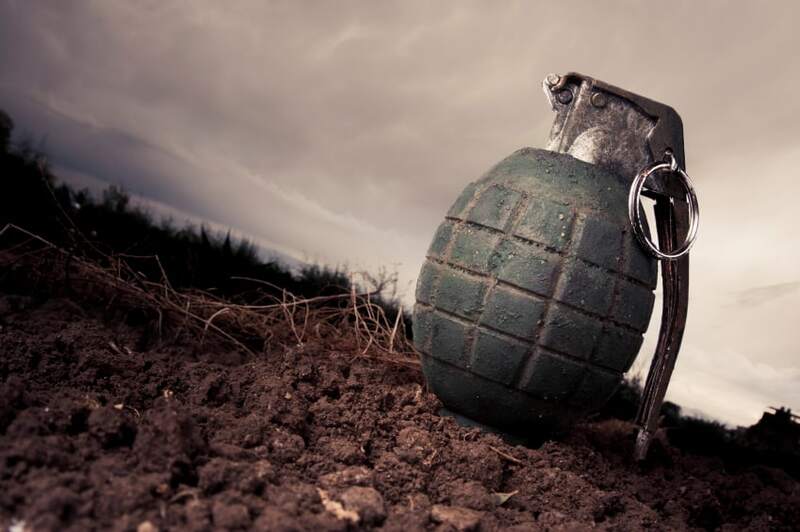 You've likely heard the old saying, "It's close enough for horseshoes and hand grenades." Unfortunately, this phrase shouldn't readily apply to describe the actions of a detection dog. Since detection dogs are utilized for locating narcotics, explosives, etc., being "in the ballpark" simply isn't good enough. When training and handling these detection dogs it is imperative that they be accurate and efficient in locating target odor. A big part of this, is to make sure that their alert or indication is close enough to the source of the odor that any guesswork is eliminated. Detection dogs should give a clear and discernible indication to the presence of target odor and this indication should give the handler as much information about where the source of the target odor is. Unfortunately, we often see detection dogs that alert or go to final indication so far away from the source of the target odor, that the handler only has a general idea of where the odor is, at best. The dogs indication should eliminate any guesswork, which can be even more difficult, the further away from odor the dog responds. For example, is a drug dog responds 2-3 feet away from source, and you are working in a crowded parking area, it can likely be difficult to even determine which vehicle the odor is contained in. This issue can also cause major problems when conducting sniffs of parcels, bags and luggage. Also, imagine searching inside the cargo area of a tractor trailer truck filled with boxes and your dog simply sits or scratches amid a group of boxes. You may likely find what you're looking for, eventually. If your detection dog alerts too far from source and you want the dog to get as close as possible, the solution is fairly simple. To close this gap there are a few things you will want to do. First, you must reinforce the behavior of being as close to source as possible. This is easily done by simply rewarding the dog while they are focused on the odor and as close to the odor as they can possible get. If your dog has a habit of turning and looking at you, be sure not to deliver the reward when the dog is looking away from the odor. 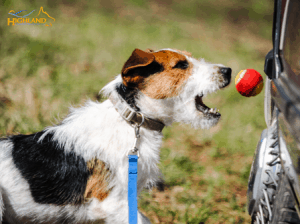 If you are consistent and have good timing, the dog will quickly associate their proximity to odor with the delivery of reward or reinforcement. Secondly, you need to make sure that you are rewarding at the source of the odor. All too often, I see handlers that will receive an indication from their dog and then simply throw the reward onto the ground or deliver the reward far away from the source of the odor. If we consistently deliver reward at the source of the odor, our dog will quickly learn to stay there to obtain it.